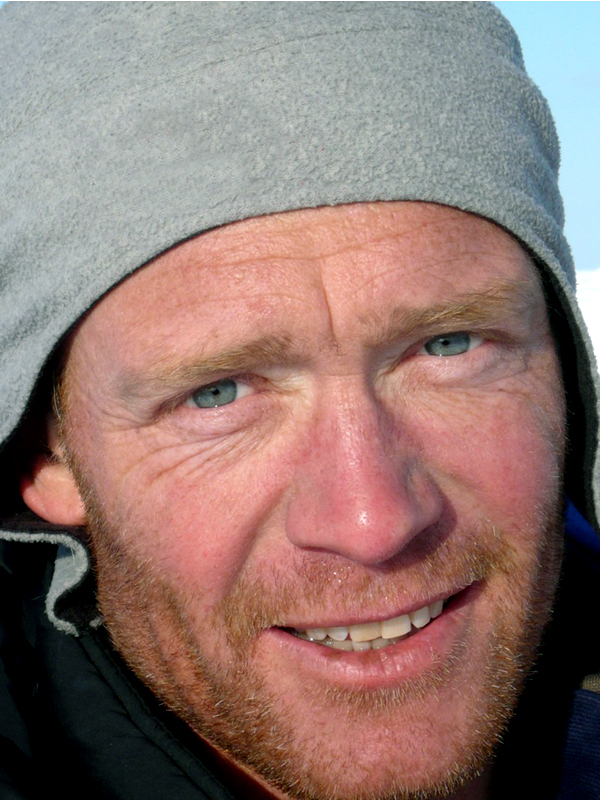 The idea of launching a new Corporation Without Share wordlwide association to facilitate the development and preservation of high quality professional guiding comes from professional polar explorer Eric Philips. "I thought of that three years ago," he said. "It took me one year to decide wether it should be done or it shoudn't. After one year, I was convinced that this association was something we needed..."
Explorapoles : Do you think that there were too many poor guidances developing in the polar regions ? Eric Philips : "No too many bad guided treks, but yes, I thought it was in fact too easy for people without much experience to claim that they were polar guides. In fact many people who were clients at the first place, decided to go back to the ice and just beacause they had been once on a trek with a professional guide, they could also become a polar guide themselves. Not only in the North and South Poles zones but also in other icy worlds like Greenland, Norway, Iceland, etc. Because I have an educational background, it was very natural for me to think that we needed to become more professional in this field of polar guiding, and to become more qualified also. ..."
Explorapoles : We all know that the polar voyages or treks become more and more expensive every year. The field itself is changing a lot. And consequently, fewer people should travel to polar regions in the future. Shouldn't they ? IPGA is a sort of association that has to adapt as quickly as the environment changes. For instance, with these news stearable powerkites, people can now make 500 kilometers or even more in one day ! This all polar world will always continue to develop and polar guiding, polar adventuring, also. The adventurers nowadays are inventers, discoverers, they will always find differents ways of doing thiks, that's why it is so exciting to be in this field. ..."
IPGA regulates the quality of polar guiding through its guide endorsement process, through the standardisation of skills and practices and the provision of resources to up-skill both prospective and endorsed guides. We provide support to the polar guiding community and its clientele by standardising work practices and regulations that govern the profession, by encouraging the highest possible level of safety and satisfaction for clients and by providing public transparency of guide skills, capabilities and qualifications. IPGA also monitors pricing and services offered by service providers. An IPGA guide possesses a range of outstanding qualities and is able to perform a host of skills in a professional manner in any polar environment where surface travel over ice is the primary mode. Polar guides typically, but not exclusively, operate on the Arctic Ocean/North Pole, in Antarctica/South Pole and in Greenland and are able to manage and lead all aspects of an extended polar expedition.IPGA was founded in 2011 as a Corporation Without Share (not-for-profit) association and is registered in Ottawa, Canada. IPGA is administered by its members and employees and comprises a Board of Directors, an Assessment and Registration Board and a Skills and Practices Board. The Board of Directors: Eric Philips – President, Richard Weber - Vice President, Alan Chambers – Secretary, Annie Aggens, Victor Boyarsky, Christoph Höbenreich, Alain Hubert, Matty McNair, José Naranjo and Børge Ousland. Assessment and Registration Board: Alan Chambers, Christoph Höbenreich, Alain Hubert, José Naranjo and Eric Philips. Skills and Practices Board: Annie Aggens, Victor Boyarsky, Matty McNair, Børge Ousland and Richard Weber. Current IPGA guides: Eric Philips, Richard Weber, Victor Boyarsky, Christoph Höbenreich, Alain Hubert, José Naranjo and Børge Ousland.